"When you find your opponent's weak spot, hammer it." As Hardik Pandya smashed Pawan Negi all around the Wankhede Stadium to power Mumbai Indians to a five-wicket win and rub salt on Royal Challengers' wounds, the above quote by pioneering coach John Heisman struck the mind. Mumbai Indians found RCB's weak spot and hammered it. They played to a plan and executed it well. 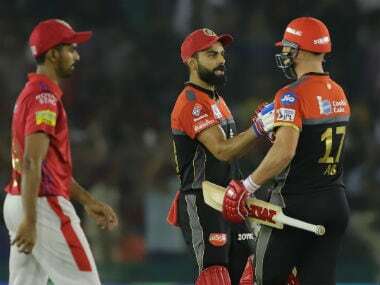 Before walking past the finish line, they stamped hard on RCB's weakness – their pace bowling – to further weaken them before forcing them into submission at the Wankhede Stadium. After being put into bat by Rohit Sharma, RCB recovered well post Virat Kohli's departure in the third over of the match. It was a tricky wicket which assisted the pacers early on with swing, seam movement and extra bounce and then started to grip and turn. AB de Villiers found it hard to get going for quite some time at the start. There were plays and misses, inside edges and miscued and mistimed shots. 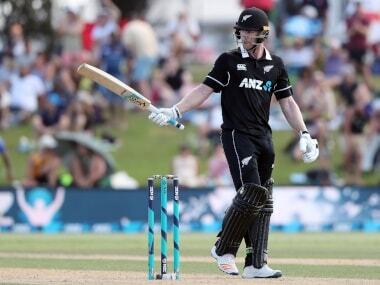 But he hung on and along with Moeen Ali, added 95 for the third wicket. Moeen looked a bit fluent compared to de Villiers but the South African then got into the groove and got the better of Lasith Malinga. It looked like RCB were set for a 180-plus total. And it was time for ABD to take off. But as they have done year after year, match after match, the two of the best death bowlers in the world rescued Mumbai again. Despite being dominated by de Villiers, Malinga showed why he is such a gallant fighter as he took four wickets in the last two overs to impede RCB's run flow. He and Bumrah combined to give away just 35 runs in the last four overs to restrict RCB to 171. Moeen, at the innings break, thought that it was a decent score on that track. Chasing 172 on that Wankhede track wasn't going to be easy. And it was assisting turn, the extra bounce made it even more lethal. MI came out with a set plan – to attack the pacers. Prior to this match, the RCB pacers had averaged 63.46, striking at 40.17 and conceding runs at 9.29 per over. While their spinners were their main weapons, averaging 24.59, striking at 19.47 and having an economy rate of 7.59. The MI openers, Rohit Sharma and Quinton de Kock, came out with a sound strategy and went after the RCB pacers straightaway. Full, short, length, back of a length, every length was punished by the two openers. The duo hit five fours and three sixes off the pacers Umesh Yadav and Navdeep Saini in the first four overs to set the momentum before Kohli was forced to introduce Yuzvendra Chahal. 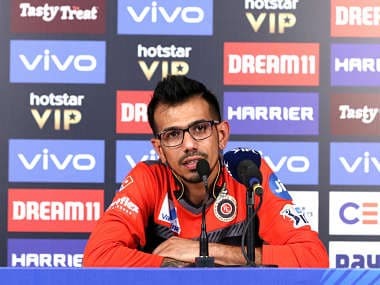 Chahal has been one of the best bowlers in this IPL. He's been RCB's shining light amidst the gloom. De Kock minimised the risk against him and hit just one four in the fifth over. Sharma and de Kock then took on Saini in the next over to take the tally to 67/0 in the Powerplay with 13 runs off the sixth over. Both the batsmen had taken the aggressive route. Given that the wicket was starting to grip and turn, it was a crucial start for Mumbai. Kohli brought on Pawan Negi immediately after the Powerplay and he straightaway beat Rohit's outside edge. The ball gripped and turned. Two deliveries later, he forced de Kock to nearly chop one on with one that spun back in. The next step was to get another spinner on and Kohli called on Moeen. The England all-rounder struck with his first ball which spun back in sharply to beat Rohit's late cut. Two deliveries later he trapped de Kock in front with one that skid straight on. All of a sudden, MI had lost both their openers and needed someone to stabilise the innings. Ishan Kishan joined Suryakumar Yadav in the middle. It was imperative that MI don't go into a shell so Ishan kept the scoring ticking with a couple of sixes off Negi but he was playing high-risk cricket. There are times when you can pull it off single-handedly with that approach but those are rare. 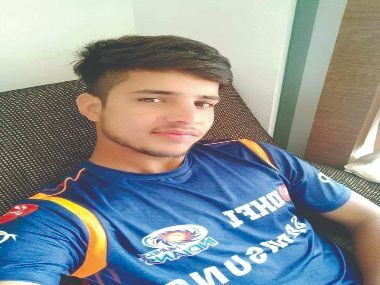 Kishan underwent a rush of blood and perished in the 11th over trying to hit Chahal out of the park after hitting him for a six the previous ball. MI again needed to steady the ship. There was need for smart and calculated cricket. And that's what Suryakumar and Krunal Pandya did. 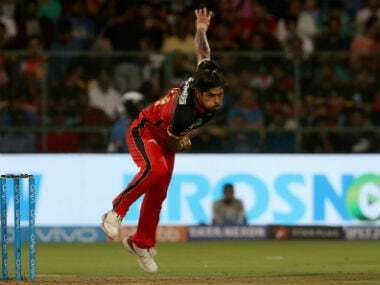 With Chahal and Moeen bowling with good rhythm, the duo played the two spinners sensibly. There was low-risk cricket and the next four overs yielded just 19 runs. The required run rate has climbed from 7.75 to nine per over. 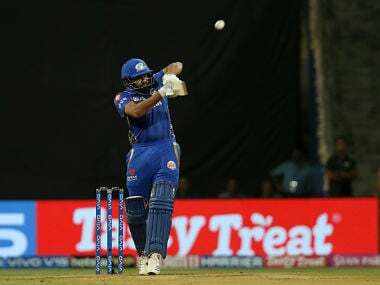 But MI knew that they had the in-form power-hitting finishers in Kieron Pollard and Hardik Pandya who could pull off the most difficult of run chases and the cherry on the cake would be the overs from struggling pacers. By now they had seen Moeen off, who finished with figures of 4-0-18-2. They needed to see off Chahal too who had just one over left. However, Suryakumar suffered a lapse in concentration and holed out in the deep. He had done a good job though. Hardik then went after Saini and Siraj. The latter did get Krunal out but the duo conceded 19 runs combined from two overs, leaving 22 to get from 12. At this stage, Saini had an over left while Umesh had two overs left but such was the lack of confidence on his pacers that Kohli decided to hand over the ball to Negi to bowl the penultimate over. Hardik finished off the match in that over itself, providing a ray of hope to the fans and the journalists, who had endured a long, hard working day post the World Cup selection, of catching the last local train. It brought back memories of 2015 when Hardik first burst into the limelight with an assault over Negi, hitting him for three sixes with 30 needed off the last two overs. Hardik had conjured the win with 8-ball 25. Maybe some research from the RCB team management would have helped in making the decision. However, it seemed as if the lack of trust in his pacers majorly influenced his call. In what seemed to be a tricky chase, MI sauntered with ease at the end. The plan had worked. MI had extracted 80 runs from seven overs off the pacers, scoring at 11.42 runs per over and over. On the other hand, they had scored at 7.66 per over against the spinners scoring 92 runs from 12 overs. It was the difference. Take out Negi's last over and they had scored at 6.36 runs an over against the spinners. Umesh had aced the Powerplay last season but has been struggling this season going at 9.54 without any wicket. Siraj, overall, has been a disappointment. MI realised it and aced the Powerplay to gain momentum. Suryakumar and Krunal's sensible batting in the middle overs was equally crucial. After finally getting on the board against KXIP, it was just another day in the life of Kohli and RCB at Wankhede. They desperately need to sort out the pace bowling woes and they can't wait for Dale Steyn to take the field and inject some inspiration into this battered bowling unit.